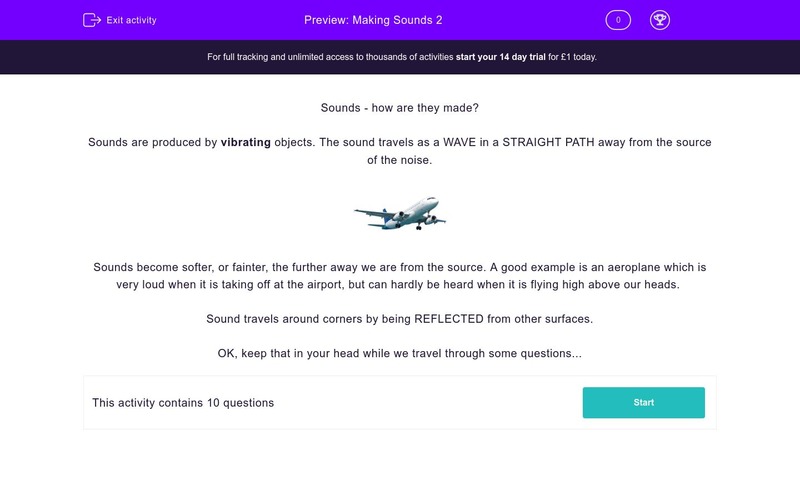 Students answer questions about how sounds travel from their source. Sounds are produces by vibrating objects. The sound travels as a WAVE in a STRAIGHT PATH away from the source of the noise. Sounds become softer, or fainter, the further away we are from the source. 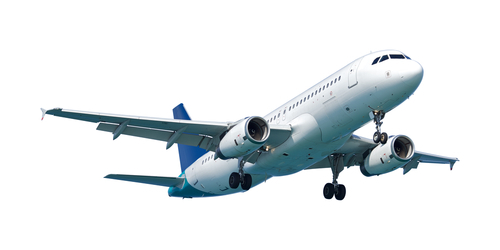 A good example is an aeroplane which is very loud when it is taking off at the airport, but can hardly be heard when it is flying high above our heads. Sound travels around corners by being REFLECTED from other surfaces. These motorbikes produce the same engine sound, but which one will sound the LOUDEST to our ears? Which statement best explains why sounds become softer the further away we are from them? Which materials vibrate to produce sound? Only one is correct! We know that sound travels through different materials. Match up the material with the evidence. Sound waves travel in a straight PATH away from the source. Callum and Karen are using their knowledge of how sound travels. Karen says: "Because sound travels in a straight path, it cannot go around corners." Callum says: "I know sound can travel around corners because I can hear the school bell when I am on the climbing frame around the corner from the teacher." As sound travels away from an object, it spreads out in all directions and becomes softer because it has to cover a greater area and distance. Any vibrating material produces a sound and solids, liquids and gases can produce sounds. Vibrations travel through materials in waves, CDs and aeroplanes are sources of sound. Sound waves travel in all directions away from their source in straight PATHS. Callum uses his observations to collect the evidence he needs to show that sound CAN go around corners, even though it always TRAVELS in a STRAIGHT PATH. Sounds can bounce off surfaces. This is called REFLECTION. A sound which 'bounces back' to us is called and ECHO. Sounds, like light, are reflected by surfaces.